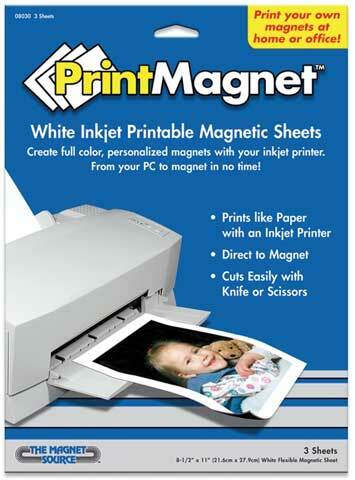 Make a magnet out of anything that can be printed on an ink jet printer! These flexible magnetic sheets can be run through an ink jet printer just like pieces of paper. They have a matte paper finish on the front and the entire back is magnetic. Cut easily with knife or scissors for customized magnets that can be used for temporary signage, message boards, teaching aids, portraits, decorative magnets, photos, vehicle signage and more. Available in 8½" × 11" sheets.